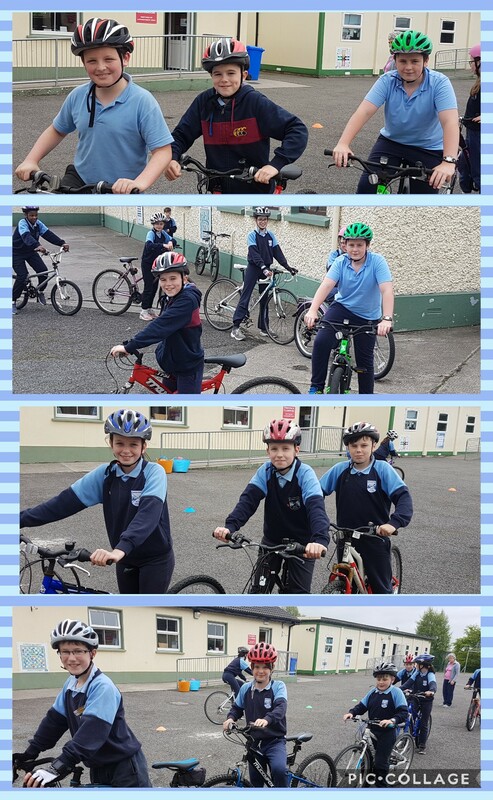 In conjunction with Meath Sports Partnership, Fifth & Sixth Class completed a two day course in cycling safety with ‘Pedal Right’. The course is aligned to CYCLE RIGHT, the National Standard for Cycle Safety Training in Ireland. The emphasis of the course is on safety through control of the bike and awareness of surroundings The children began with a short theory session in the classroom where they were taught the rules of the road & all about bike maintenance. They then moved outside with their bicycles where they were taught advanced cycling skills & learned the safety skills required to assess situations on the road and to how to react to them. Finally they headed off with the trainers on a 30 minute cycle to put everything they learned into practice and they did fantastically! It will be very beneficial to trainees to have the opportunity to practice between sessions as this will more quickly develop the core bike handling skills needed for cycling on the road.